Check out the white trees in Central Park. 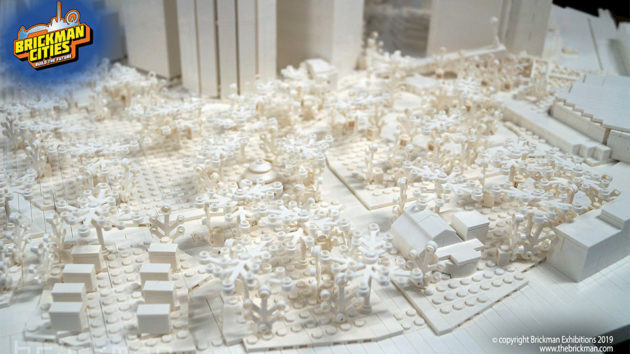 Needless to say, the centerpiece of Brickman Cities is this: a 3 by 4 meters (9.84 x 13.12 feet), 1:500 replica of Lower Manhattan, built entirely in white LEGO elements. 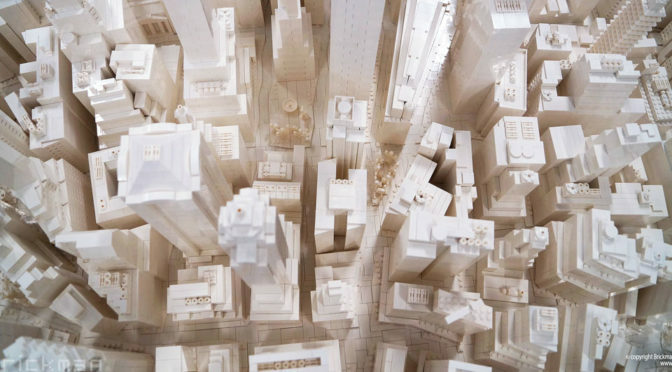 We love the all-white model that reminiscent that of a professional scale model of a city. 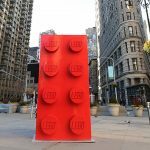 But that’s the idea; the reason why white LEGO elements were used exclusively was that so that Projection Teknik can 3-D project stories of New York directly onto the model with UHD 4K projectors. One of the many 3-D projection effect on the breathtaking Lower Manhattan LEGO model. 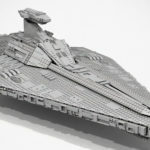 It took McNaught a whopping 572 hours and over 210,000 pieces of white LEGO to bring this massive installation to life. 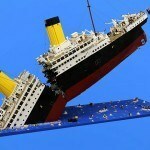 Besides the time spent, the preparations for the build was not a walk in the park either. A custom rig has to be built and mounted to the ceiling of Brickman’s workshop to project a modified image of Google Maps onto the LEGO baseplates to exact scale for McNaught to build the buildings and streets to the right proportions. Here’s another impressive 3-D projections on the model. In addition, Brickman had painstakingly studied each and every one of the 800+ buildings in order to get the scale heights and dimensions as accurate as possible. 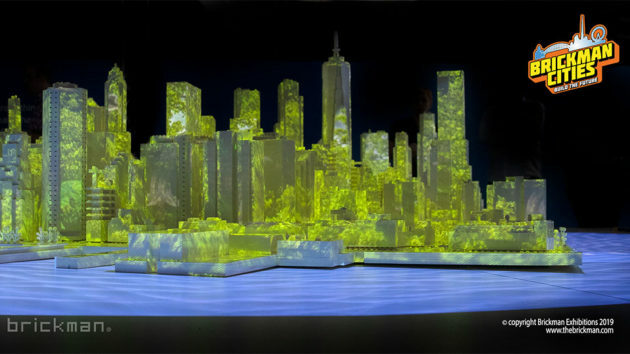 After McNaught was done with the model, another 200+ hours were devoted by Projection Teknik to map the entire cityscape in 3D to create the New York stories. 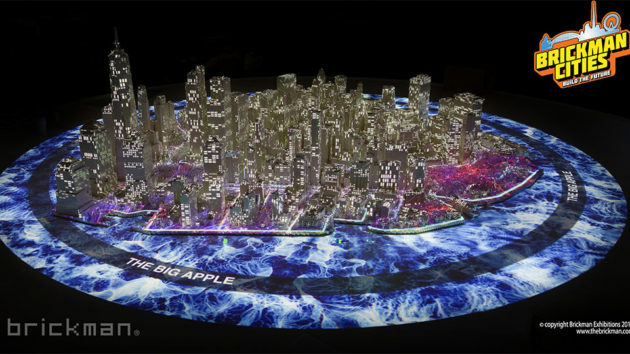 While the centerpiece revolved around the iconic The Big Apple, it was, ironically, not displayed somewhere in New York. 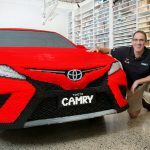 It was displayed alongside with four other LEGO cities, namely London, Tokyo, Dubai and Sydney, at Sydney’s Entertainment Quarter 4 which concluded a couple of days ago.